So as many of you may already know from my continuous rantings on Instagram and Twitter.. 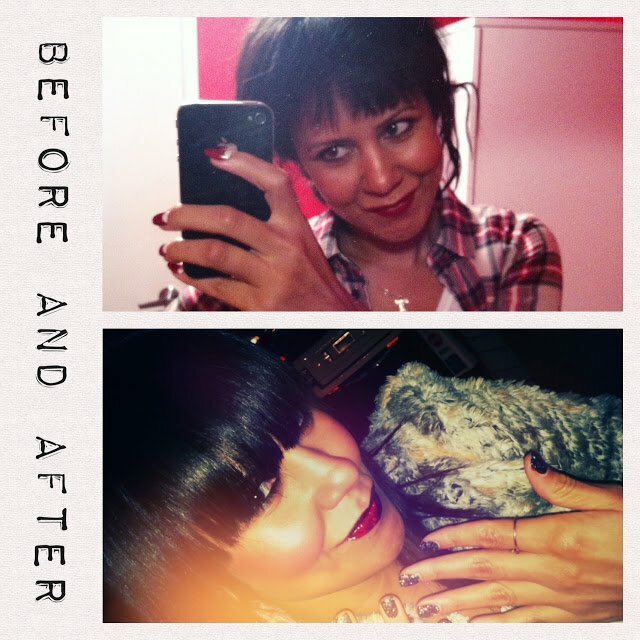 I recently had a bit of a makeover north of my neck… and I am not talking botox people.. Yes I have Keratined and Extesified (is that a real world) my hair.. Thus this post will be split into two hopefully informative and exciting parts..well at least for those of you that find hair dealings exciting..I know I do..
west of Fairfax portion of Melrose.. I AM IN LUST!!!! I AM IN LOVE.. In short I am in a full blown romance with my hair. Do I miss my curls frizz hard to deal with hair?.. Do I love how easy the Brazilian Blowout AKA Keratin Treatment makes my life?.. only about ALL THE TIME! What use to take me 2 hours ..wash..condition..blow dry and Flat ironing my hair (my goodness I am exhausted just thinking about it)… now takes about 25 minutes start to finish. 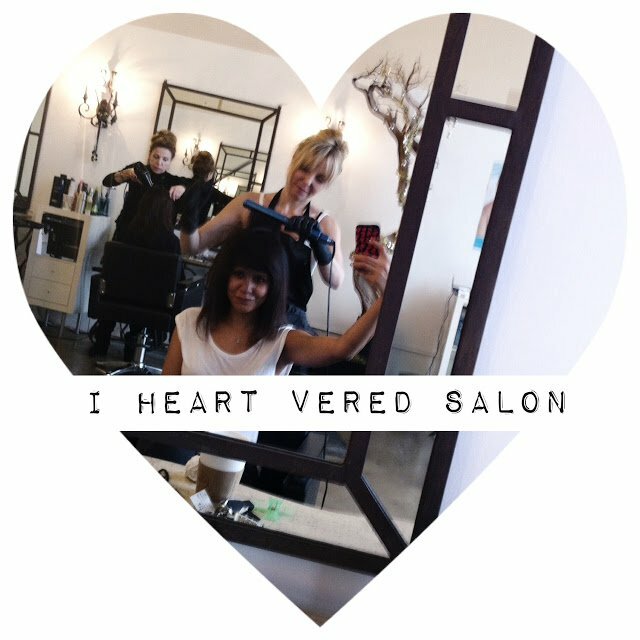 I arrived at the Vered Salon for my consultation having washed my hair the day before and letting it dry on it’s own so Vered could see the exact mane she was dealing with..(note: My hair is very deceiving!) ..And remember I was coming off a previous Keratin treatment that washed out fairly quickly… I’m still not exactly sure why. Anyhow.. I arrived and Vered greeted me with big smile and not a worry about the task ahead. Super knowledgeable.. she presented me with two options.. 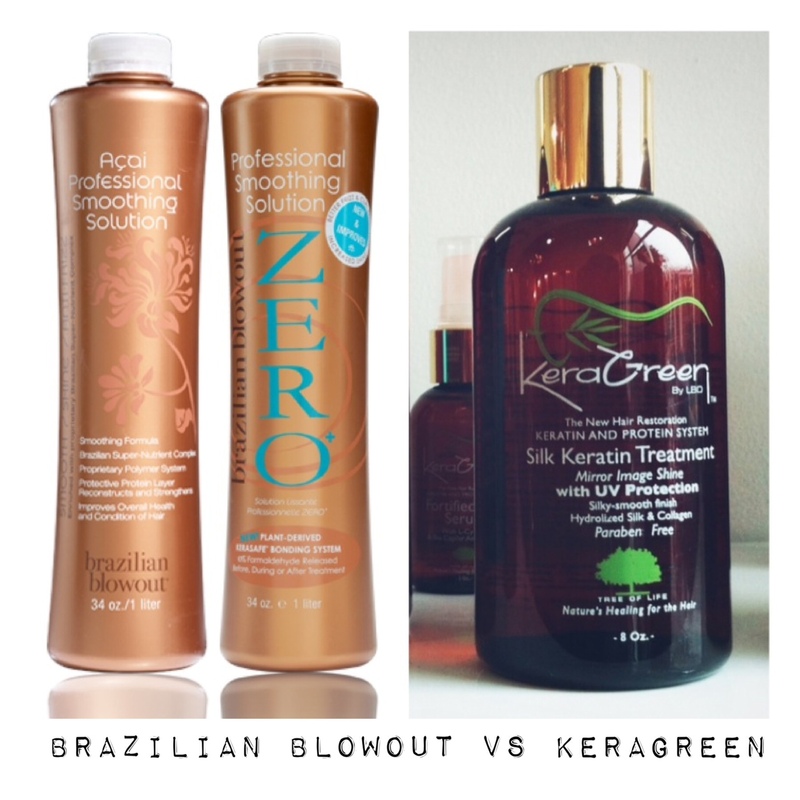 I could go the formaldehyde free Organic KeraGreen Keratin Treatment or the stronger original Brazilian Blowout. Now I usually opt for an organic full life.. this time I opted for the stronger Brazilian..(simply because of the HairDreams extensions that were to happen a few days later) We decided we would go for the KeraGreen Natural Keratin Treatment on the next go round.. Which also works really well. Note: apologies for the out of focus photo above.. it happens! Anyhow…The process for the Brazilian Blowout goes a little something like this..
2. Apply the Brazilian Blowout Solution which is quite strong but Vered takes great measures to make sure that there is proper ventilation. There are fans blowing all over the place. 3. Blow dry the hair straight with the solution still on. 5. Wash the hair once more and blow dry..
6. Then for the next few days don’t clip, pin or ponytail your hair.. next time you wash.. BAM.. easy, shiny strong beautiful silky did I mention easy hair.. Honestly it’s changed my life. And the aftercare is quite simple..
Vered sent me home with the KeraGreen Shampoo and Conditioner.. AMAZING!! I’ve used it every time I wash and would probably still use it even if I did not have a Keratin Treatment. All and all either way you go.. the application is the most important part and Vered is awesome. 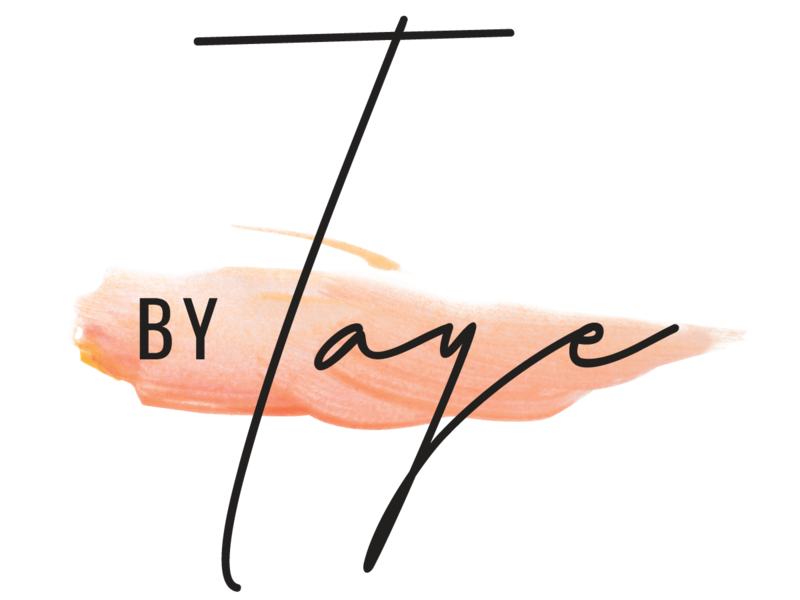 She will walk you through it and discuss all your options.. after all … this hair care business is a very serious thing! So if you are thinking of getting one..I say go for it.. just know that it washes out in a few months.. you will become addicted… in the best way of course. Contact the Vered Salon and get that Holiday Hair going..
"I dream of hair..Part Two.. HAIRDREAMS EXTENSIONS"
"OUTFIT TUESDAY… Leather & Sweaters.."